Freshman Ithiel Horton is on pace to become the third straight Delaware player to be named CAA Rookie of the Year, but he now faces some competition. When The Review published the first version of this list, the Delaware women’s basketball team looked lifeless, while the men’s basketball team was closing out games with regularity, and spring sports still felt miles away. Now, not even a month later, Natasha Adair’s squad has won four of its last five games, Martin Ingelsby’s team has relinquished almost a half dozen 10-plus point, first-half leads, and spring teams have sprung into action. With students returning to campus this week, we present version two of the list, the 19 most intriguing athletes heading into the spring semester. Delaware has begun to find its footing without Enabosi — winning four of its last five games to even its conference record at 5-5, after an 0-3 start. 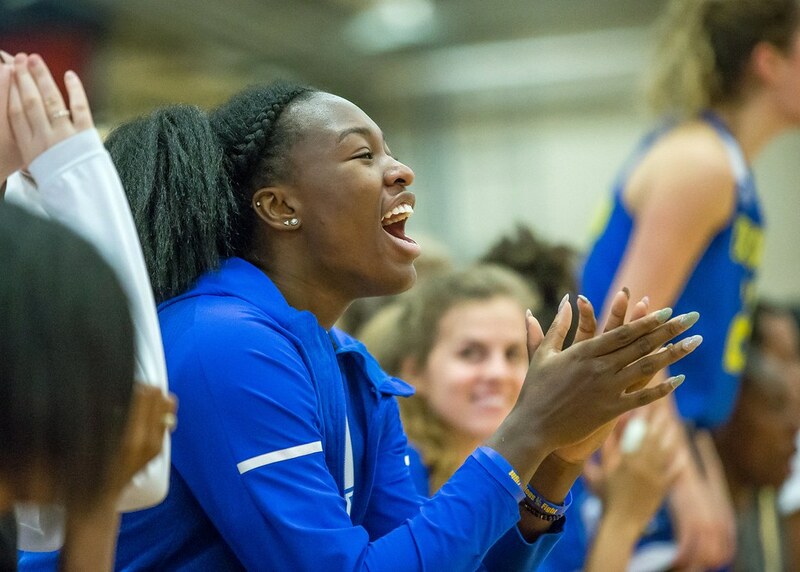 But 2019-2020 still holds more promise with Delaware graduating only forward Makeda Nicholas and guard Alison Lewis from this year’s team, before they welcome back Enabosi in the fall. Dickey hasn’t started since Delaware’s Jan. 18 contest at Hofstra, but the freshman still ranks among the best rebounders and defenders in the CAA with 8.7 rebounds per game (2nd in the CAA), 1.5 steals per game (11th) and 0.8 blocks (8th). In a smaller role, Dickey has continued to provide energy and versatility. Her scoring has plateaued as players like Samone DeFreese and Bailey Kargo have assumed more of the offensive load. Adderley is no longer a secret. The top FCS prospect on most national draft “experts” boards and the top safety in the draft in many’s opinion, Adderley has been highly touted for his versatility. Depending on where he lands, Adderley could be a safety who can cover like a corner, or a corner who can move and tackle in space like a safety. His stock only rose at the Senior Bowl, where he was steady in practices throughout the week and had an interception during the Senior Bowl game. The next stage of the pre-draft process is the NFL Scouting Combine in Indianapolis. If he makes it into the back of the first round, Adderley would be only the second Blue Hen to be selected in the first round, following Joe Flacco who was selected 18th overall in 2008. In 33 starts as a sophomore at UAB, Darling shot 40.9 percent on 3-pointers and averaged 10.1 points per game. After transferring, Darling has to sit out the 2018-2019 season. As he has battled injury, Carter’s scoring production has fallen from fifth in the CAA (when this article was first published) to eighth (16.5 points per game). He ranks second in rebounding (10.3 per game) and field goal percentage (60.3 percent). Carter has been Delaware’s most impactful player this season, although sophomore guard Ryan Allen continues to come on strong after missing the start of the season with a foot injury. Delaware is 9-4 when Carter scores 15 or more points. The team is 6-7 when he misses that mark. Horton has been named CAA Rookie of the Week three times this season. Since this article was first published though, UNCW’s Kai Toews, William and Mary’s Chase Audige and Drexel’s Camren Wynter have all emerged as worthy freshman-counterparts, each earning the honors three times as well. Horton still ranks first among freshman in scoring, but his average, now at 12.3 points per game, has dipped by almost two points per game over the last three weeks. In Delaware’s last seven games, Horton has averaged 8.3 points on 38.3 percent (23-60) shooting from the floor and 26.6 percent (8-30) shooting from three. 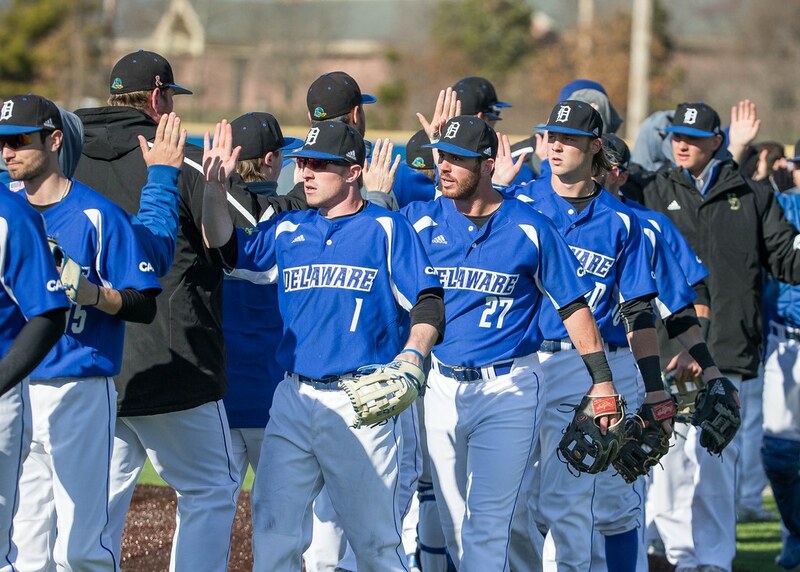 In Delaware’s opening weekend of play, Steinmetz went 3-9 with two walks as the Blue Hens went 2-1 on the road. With a 2:11.34 at the Navy Select meet, Carly Pettipaw is now the second fastest in the indoor 800 meters in school history. She’s ran on three ECAC qualifying relays this winter … Ashley Bailey is in the midst of her senior season as already the best pole vaulter in school history … Timo Hummrich is the leading returning goal scorer to a Delaware men’s soccer team that graduates five seniors … Women’s lacrosse midfielder Mia DeRuggiero is second in school history with 36 assists entering her junior year. DeRuggiero finished second in the CAA with two assists per game last year … Tessa Verweijen, last year’s field hockey CAA Rookie of the Year, will be one of the many Blue Hens leaned on more in 2019 with five seniors set to depart … The only regular contributors to Delaware’s 2016 field hockey national championship on the 2019 roster will be Ally Pollak and Sarah Horgan. They both earned CAA All-Rookie team honors that year.